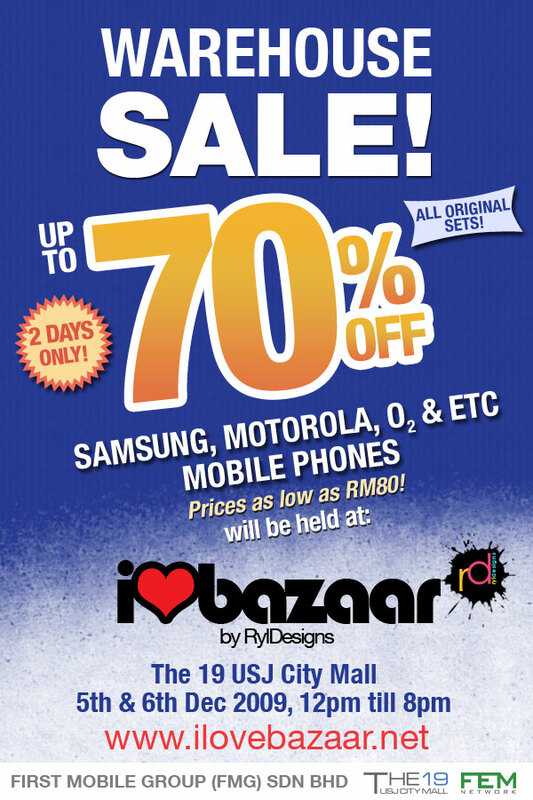 We will be having a warehouse sale of original mobile phones in conjunction with I ♥ Bazaar. Crazy bargains of up to 70% off branded phones (Samsung, Motorola, o2 and etc). Incredible prices starting as low as RM80! This warehouse sale promotion is brought to you by FMG Sdn. Bhd, sole distributor of Samsung phones. This special offer is only valid for 2 days. Be there early to catch this rare bargain!